New Japan Pro Wrestling recently posted part five of The History of CHAOS. 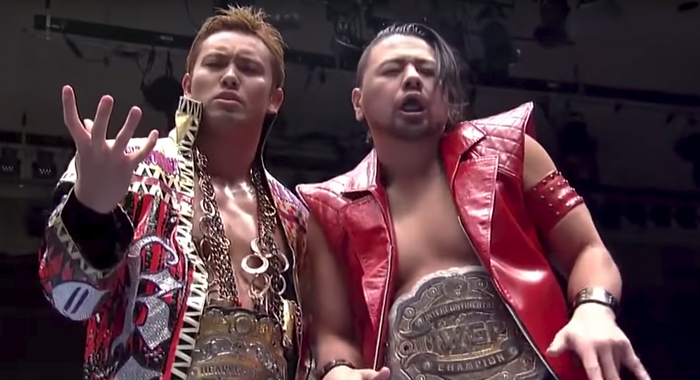 The Youtube series documents the history surrounding one of NJPW’s most powerful factions. Leadership of the faction, founded by Shinsuke Nakamura, was up for grabs in 2014. Nakamura and Kazuchika Okada were the two Alpha males of CHAOS and while they did battle for supremacy, they ended their rivalry on good terms. There was no real war for the top slot and Shinsuke headed to WWE just two years later in 2016. CHAOS thrived under Okada, as The Rainmaker became the top guy in New Japan Pro Wrestling. Rocky Romero found success as a tag team wrestler, Toru Yano became a highly entertaining act and Yoshi-Hashi had the best year of his career. Tomohiro Ishii was the true enforcer of CHAOS and fan favorite Hirooki Goto became the group’s newest member. But things truly stepped up when pro wrestling sensation Will Ospreay joined CHAOS, where he continues to thrive to this day.